I wanted to share with you how my blog works. I participate in a few affiliate programs, which means that I receive a commission when you click on a product and are purchased through links here on my blog. This comes at no additional cost to you. But helps me to be able to share what I love with you! 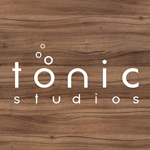 The affiliate programs I participate in are with Scrapbook.com, Spellbinders Paper Arts, Paper and More, Tonic Studios, Neat & Tangled and Concord & 9th. I share products with you that I use and enjoy. I make every effort to represent those to you honestly. I pay for my own products but do receive some free products on occasion and will be sure to share that information. I don't do paid reviews or sponsored posts. I never will share a product I do not like. What I use on my blog is what I truly like, regardless of how I obtained it. Even if I am given a product, it will go unused or given away unless I truly love and recommend it. I will never promote a product just because a company has asked me to, I only promote what I love. Currently I am on the Crafter's Companion US design team. All of those products I receive for free from Crafter's Companion. I create alot of the samples for Crafter's Companion to be shared on the HSN (Home Shopping Network) since most of the products will be available on HSN first before the Crafter's Companion website. I am sure to let you know the dates the products are available for your information. I appreciate so much that you are visitor to my blog and hope that you learn something new or get some inspiration. I love to hear from my readers so be sure to leave me a comment! !